James Fegan established homes for orphan and destitute boys at a number of locations in the south-east of England including Deptford, Southwark, Greenwich, Ramsgate and Stony Stratford. Like many child 'rescuers' of his day, Fegan saw emigration to countries such as Canada as a valuable way of giving his boys a better future. In the spring of 1884, he took his first party of ten boys to Canada and, having been greatly impressed by the opportunities he found there, went again in the summer with a contingent of fifty whose expenses had been covered by a £500 donation from his friend and supporter, Lord Blantyre. Fegan also received a donation from the MP Samuel Smith, director of the Liverpool Sheltering Home. In Canada, Fegan was greatly assisted by William Gooderham, a wealthy distiller, who had himself originally come to Canada as part of an emigrant family. 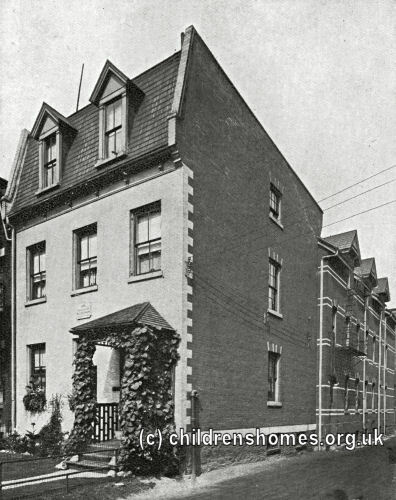 Gooderham initially provided Fegan's boys accommodation in the Boys' Home he was building in Toronto, and 1886 funded a Distributing Home in the city. The home, at 295 George Street, was shared with the Salvation Army. In 1911, Fegan set up a 'Canada Training Farm' at Goudhurst in Kent to prepare boys for the kind of work they were most likely to end up doing in their new country. The George Street building was seriously damaged by fire in October 2011, but was subsequently designated under the Ontario Heritage Act, giving the building protection from demolition. Fegans Child and Family Care, 160 St James Road, Tunbridge Wells, Kent TN2 1HE. Holds the organisation's children's case files. Tunbridge Wells Museum and Art Gallery, Civic Centre, Mount Pleasant, Royal Tunbridge Wells, Kent TN1 1JN. Acquired Fegan's non-case archives in 2015 — contents currently being processed. Library and Archives Canda, 395 Wellington Street, Ottawa, Ontario. Holds microfilm copies of Fegan Home settlement records (1885-1939). British Isles Family History Society of Greater Ottawa (BIFHSGO). Has online indexes to Fegan Home settlement records. From Gruel to Gourmet: the story of Fegan's homes for boys in Stony Stratford — a school project, including vintage video clips.